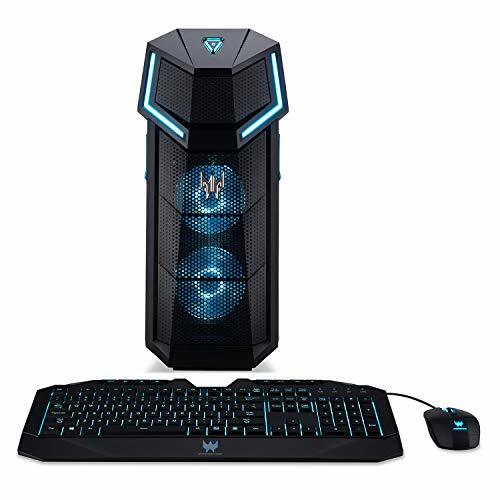 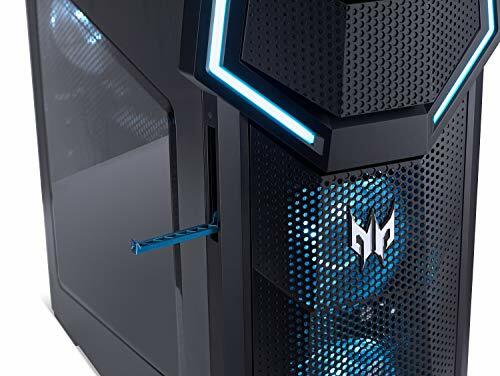 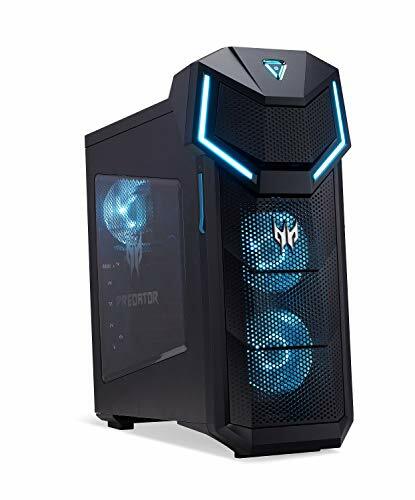 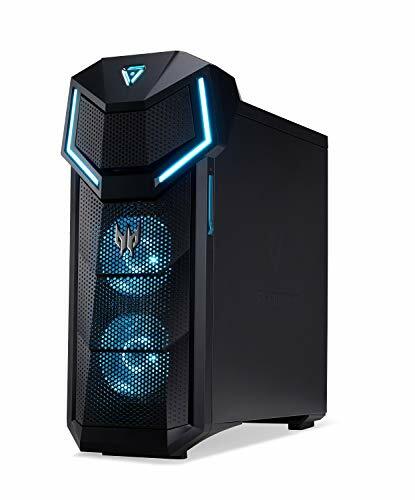 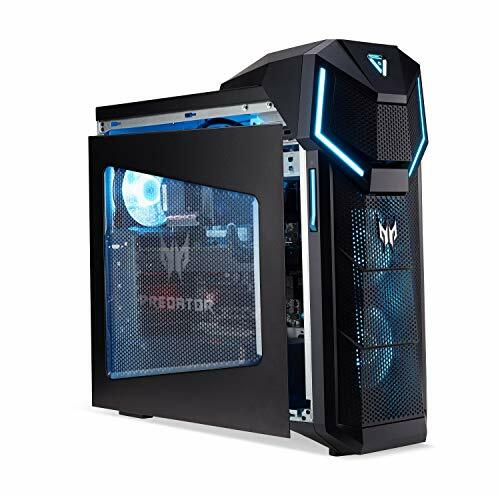 Acer Predator Orion 5000 PO5-610-UR13 Gaming Desktop PC comes with these specs: 8th Generation Intel Core i7-8700K processor 3.7GHz with Turbo Boost Technology up to 4.7GHz, Windows 10 Home, 16GB DDR4 2666MHz Memory, NVIDIA GeForce GTX 1070 Graphics with 8GB of GDDR5 Video Memory, 16X DVD-RW Drive (M-DISC enabled), 512GB PCIe NVMe SSD, Creative Sound BlasterX 720°, 1 – USB 3.1 (Type C) Gen 1 port (Front), 7 – USB 3.1 (Type A) Gen 1 ports (3 Front & 4 Rear), 4 – USB 2.0 (Type A) Gen 1 Ports (Rear), 3 – Display Ports, 1 – HDMI Port, 1 – DVI Port, Intel AC 8265 802.11ac WiFi featuring 2×2 MU-MIMO technology (Dual-Band 2.4GHz and 5GHz), Killer E2400 10/100/1000 Gigabit Ethernet LAN (RJ-45 port), Bluetooth 4.2 LE, 730W Power Supply, Predator Gaming Keyboard & Predator Gaming Mouse, 52.67 lbs. 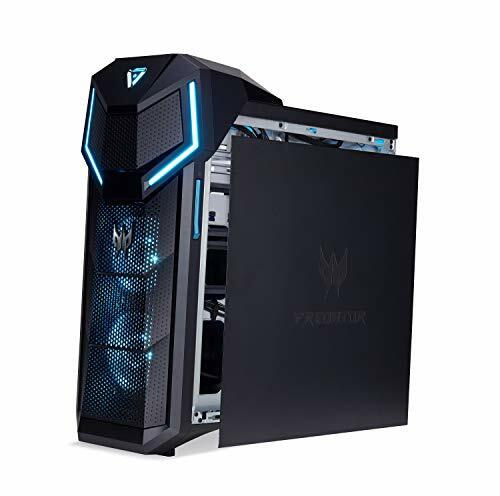 | 23.89 kg (system unit only), 2 Year Parts and Labor Limited Warranty with Toll Free Tech Support (DG.E0QAA.003)Fire up the Predator 5000 and you’re ready for some serious gaming action! 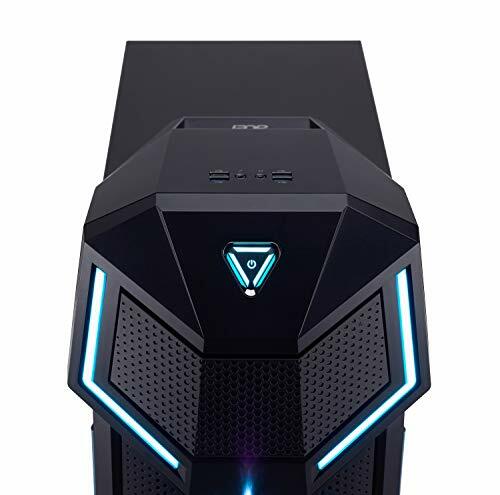 This machine gives you the power and tools you need to crush it on the battlefield!